Der Artikel Stathis Antoniou: Mathematical Modeling Through Topological Surgery and Applications wurde in den Warenkorb gelegt. Topological surgery is a mathematical technique used for creating new manifolds out of known ones. In this book the authors observe that it also occurs in natural phenomena of all scales: 1-dimensional surgery happens during DNA recombination and when cosmic magnetic lines reconnect; 2-dimensional surgery happens during tornado formation and cell mitosis; and they conjecture that 3-dimensional surgery happens during the formation of black holes from cosmic strings, offering an explanation for the existence of a black hole's singularity. Inspired by such phenomena, the authors present a new topological model that extends the formal definition to a continuous process caused by local forces. Lastly, they describe an intrinsic connection between topological surgery and a chaotic dynamical system exhibiting a "hole drilling" behavior. The authors' model indicates where to look for the forces causing surgery and what deformations should be observed in the local submanifolds involved. These predictions are significant for the study of phenomena exhibiting surgery and they also open new research directions. 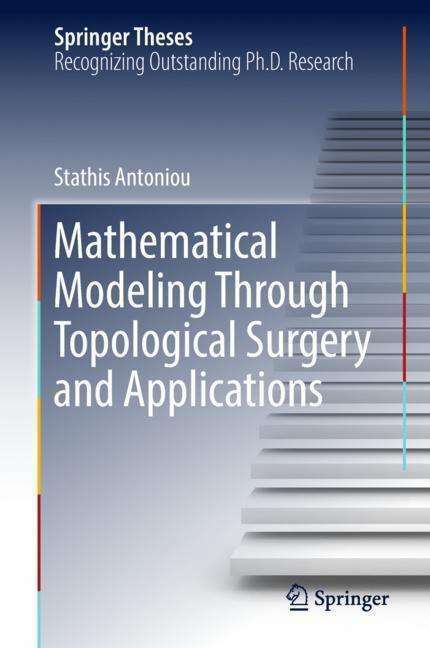 This novel study enables readers to gain a better understanding of the topology and dynamics of various natural phenomena, as well as topological surgery itself and serves as a basis for many more insightful observations and new physical implications.